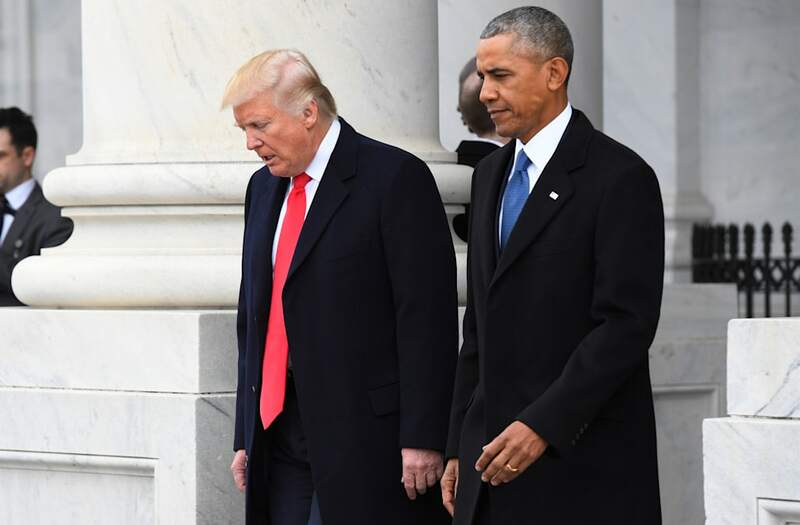 President Trump took to Twitter on Tuesday and commented on a poll from conservative-leaning Rasmussen Reports that shows his approval rating at 50 percent, ahead of where former President Barack Obama was at the same point in his presidency. “Thank you to Rasmussen for the honest polling. Just hit 50%, which is higher than Cheatin’ Obama at the same time in his Administration,” Trump tweeted. Thank you to Rasmussen for the honest polling. Just hit 50%, which is higher than Cheatin’ Obama at the same time in his Administration. A recent CNN poll also indicated an uptick in Trump’s approval rating, climbing to a level not seen since the 100-day mark in his presidency. “42 percent approve of the way Trump is handling the presidency, 54 percent disapprove. Approval is up 7 points overall since February,” CNN noted. While the president boasted about the Rasmussen poll results on Tuesday, the White House has been dismissive of the ones showing lower approval ratings in the past. Trump's nickname: "Slippery James Comey"
Trump's nickname: "Sleepy eyes / sleeping son of a b---h"
Trump's nickname: "Sneaky Dianne Feinstein"
Trump's nickname: "1 for 38 Kasich"
Trump's nickname: "Liddle' Bob Corker"
Trump's nickname: "Cryin' Chuck / Fake Tears Chuck"
Trump's nickname: 'Wacky Congresswoman Wilson"
Trump's nickname: "Little Adam Schiff"
Trump's nickname: "Failing New York Times"
Trump's nicknames: "Crazy Joe Scarborough/Psycho Joe" and "Dumb as a Rock Mika"
Trump's nickname: "Low energy Jeb Bush"
Trump's nickname: "Crazy Jim Acosta of Fake News CNN"
Trump's nickname: "Clinton News Network"
Trump's nickname: "Deface the Nation"
Trump's nickname: "Crazy Joe Biden"